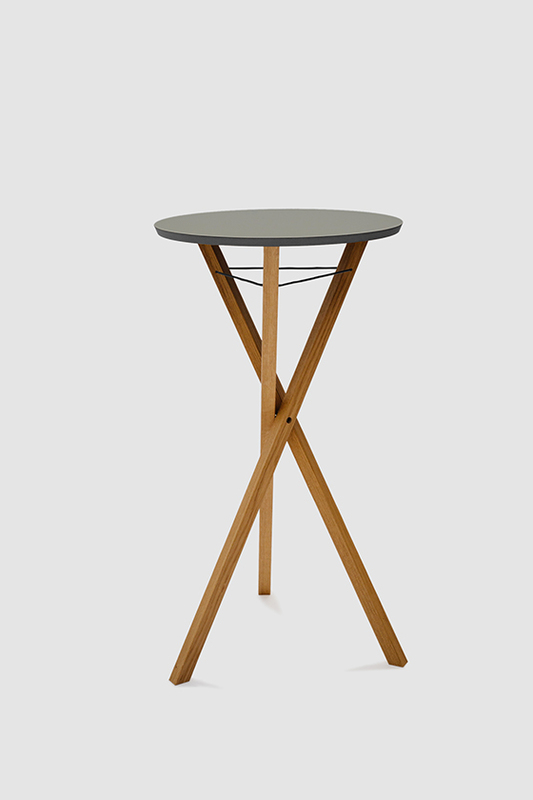 Meet and Greet, the practical high table with an ergonomic and conservative design is extremely easy to set up. 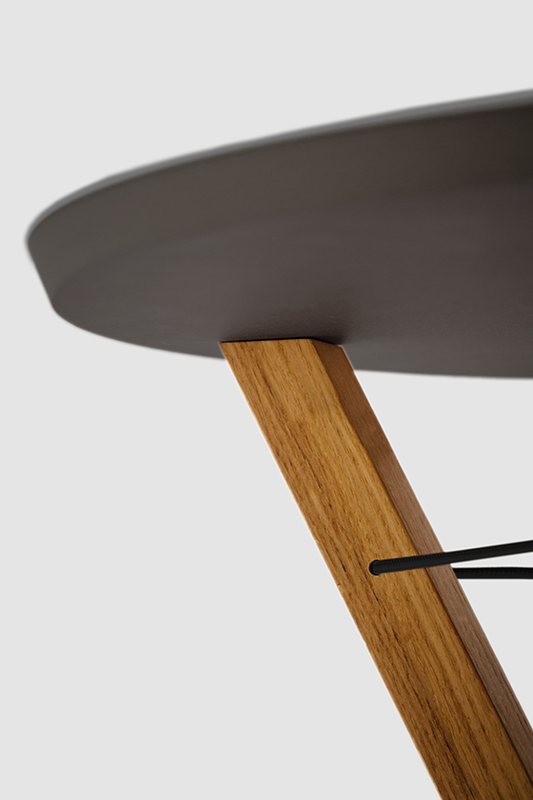 Stylish and functional. 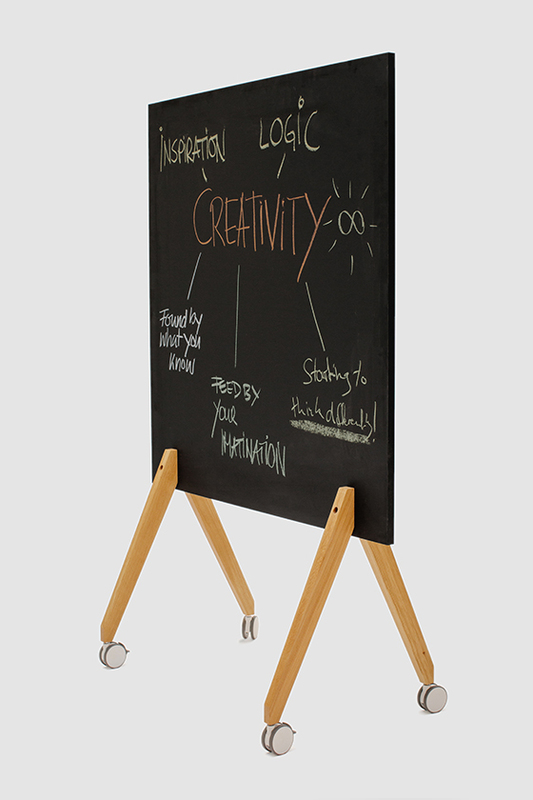 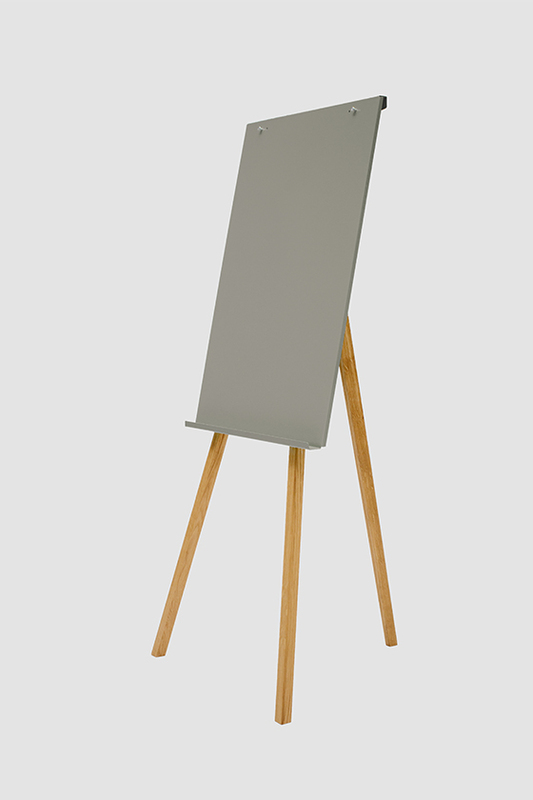 It is an ideal stand for laptops during presentations, for short informal meetings, or as a table for placement of water glasses and small snacks. 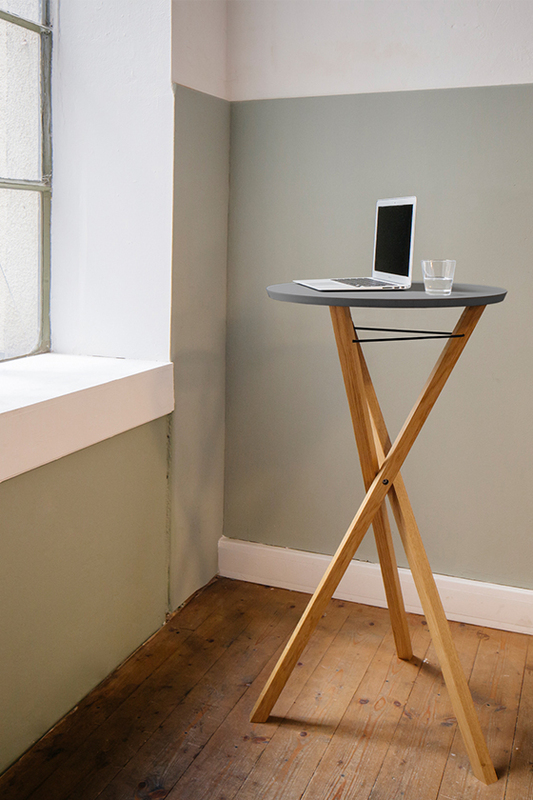 After use, the table can be folded back just as quickly and stowed away to save space. 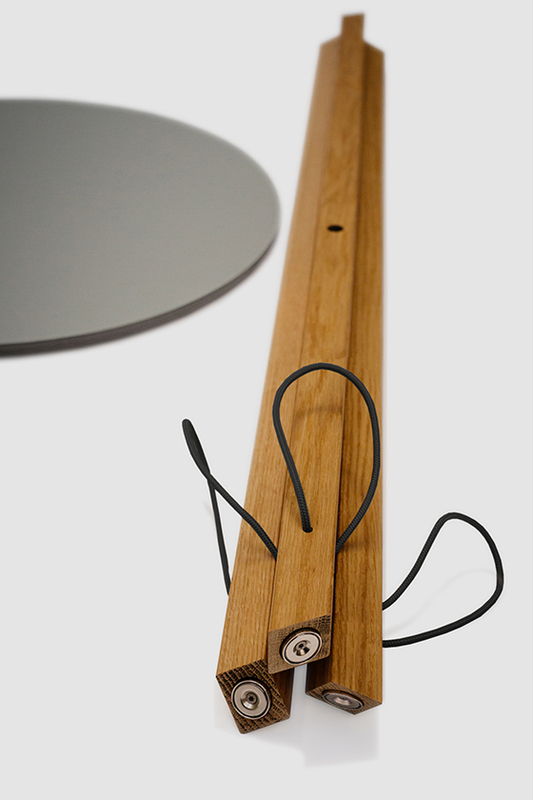 The table top is fastened to the base using magnets and thus allows easy disassembly. 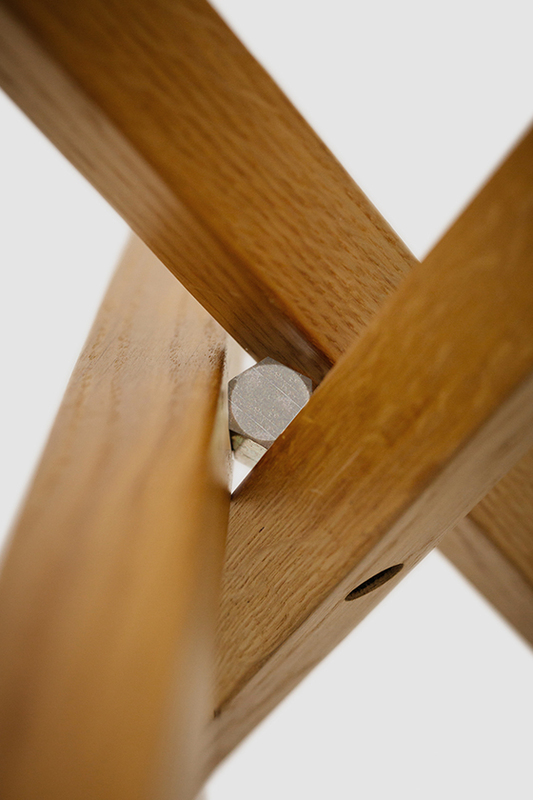 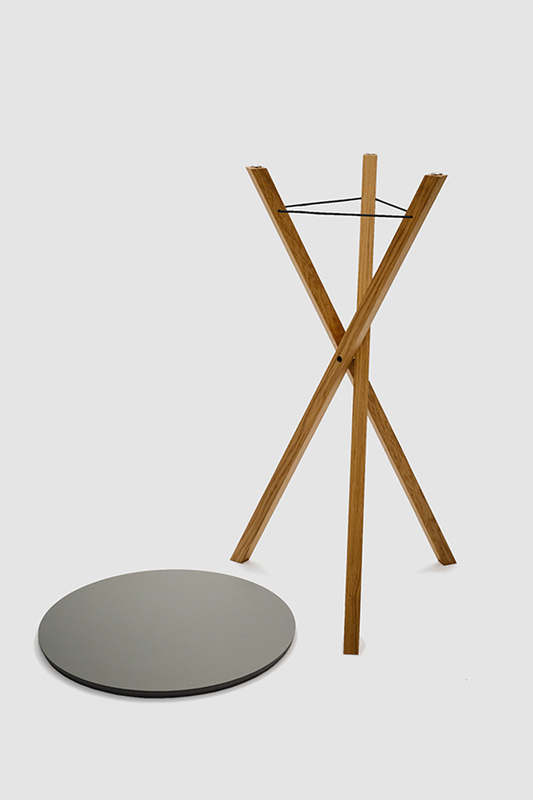 The base is made of oiled oak and can be folded in the middle along the axis and set up just as easily when needed again. 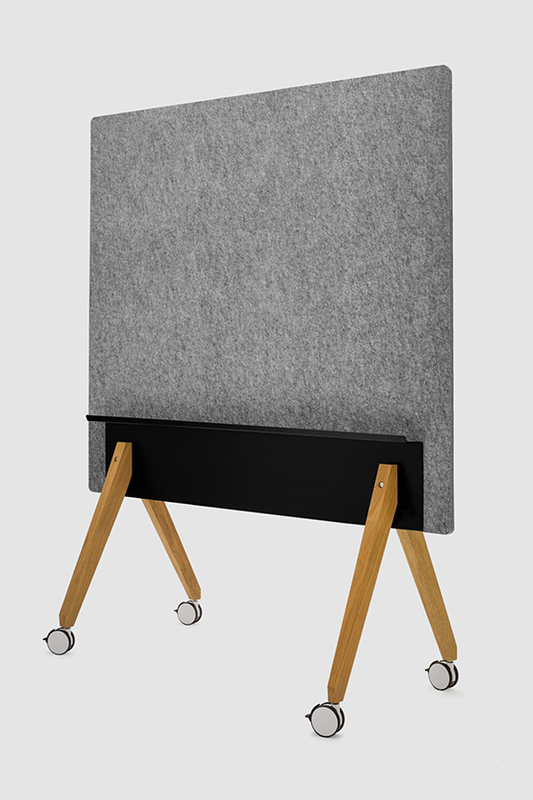 The table top is made of solid black MDF - the surface has a sturdy, matt HPL coating in gray or black, which barely leaves any fingerprint marks.